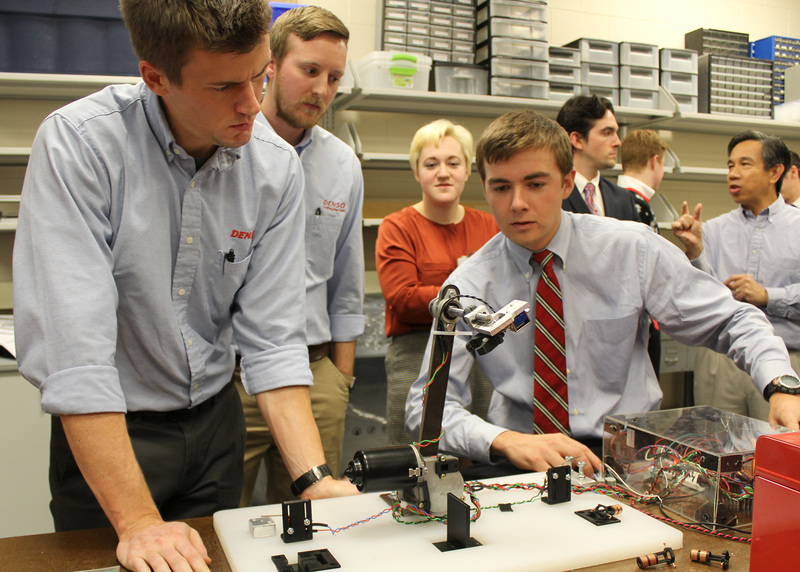 The ME Senior Design experience prepares students for the workplace through real world hands-on design/build experiences. The MAE 416 Capstone Design course involves a semester-long industry sponsored project for our mechanical engineering students. Students leverage their technical and theoretical training, and apply it to the specifications and constraints imposed by the specific company project. Students learn to collaborate together on teams and report on their work both in writing and verbally in preparation for their future careers. They are required to research, plan, and prototype a solution to the industry problems. Each team is able to communicate with the “client” (company sponsor) during the semester to clarify the goals and scope of the project. 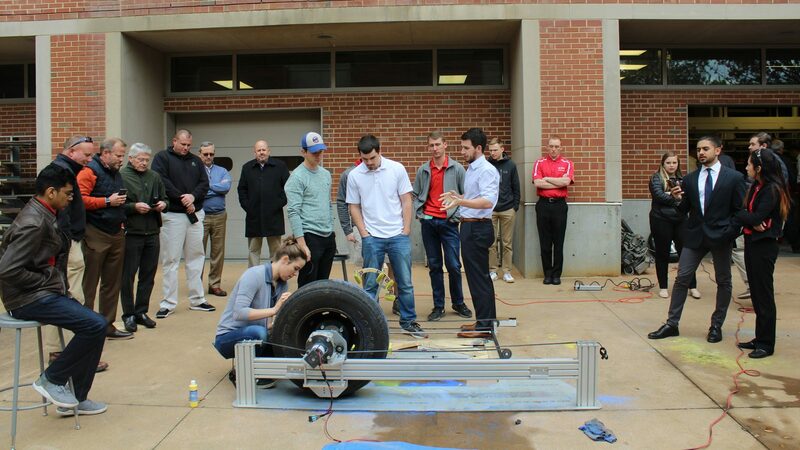 The company engineers come to campus during the semester for several design reviews. 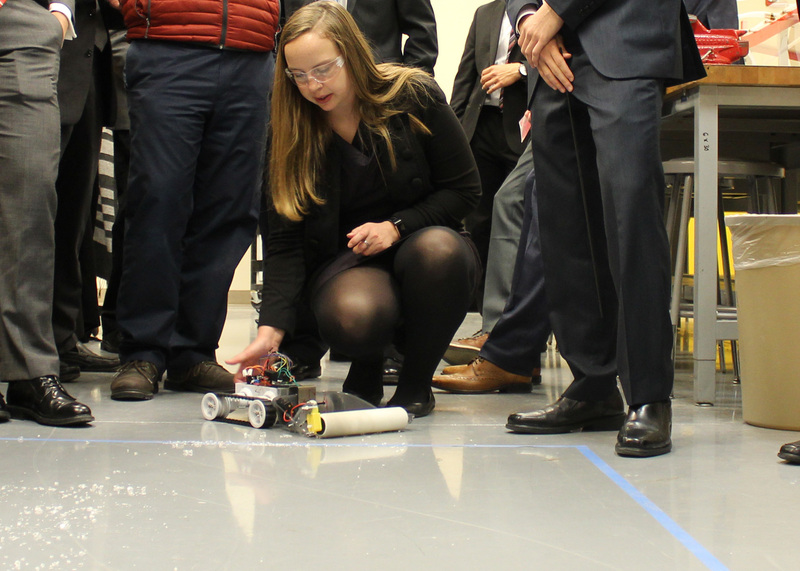 At the end of the semester, the teams and companies come together for a 3-day event with sponsors, friends, and family to present and demonstrate their solution. Design and build a mechanism that can pick and place a slip ring from a “nest” package in a horizontal orientation and place it vertically onto another nest. Additional specifications include a 55mm wall between the nests, and the nests are 450mm apart. Design a tire gloss application machine to replace the current labor intensive process. 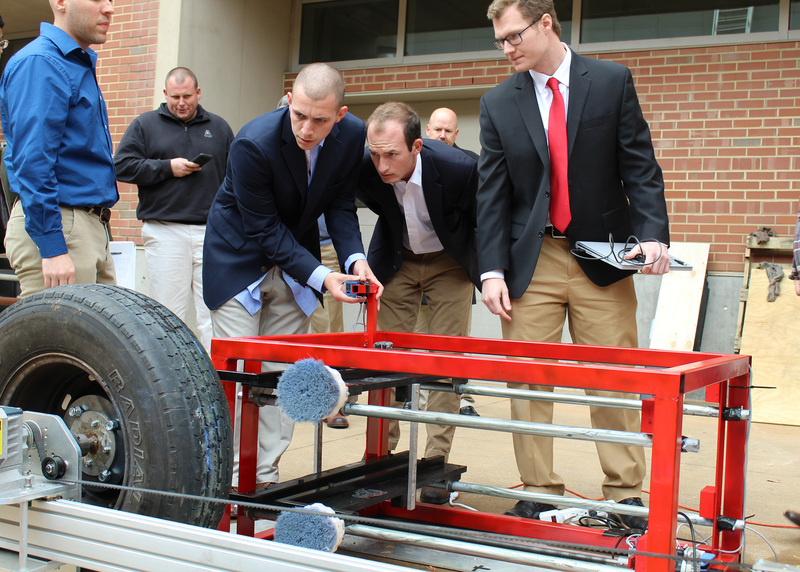 The machine needs to apply a uniform layer of gloss on a wide variety of tire sizes and rim sizes on both sides of vehicles with varying widths. This should be done while minimizing the risk of damage to the vehicle and minimizing wasted gloss. Design and fabricate a mechanism that will maintain a clean and safe working environment in the “Fire Wire” extrusion operating station of the Kidde Aerospace factory. The mechanism should reduce operator interaction with glass shards and facilitate clean up to safely and ergonomically minimize the need for extra labor.